If you are a BIG fan of the standard Sizzix Big Shot machine, then you’re going to be an even BIGGER fan of the newest member of the family! The Big Shot Foldaway manual die cutting machine performs just like the Big Shot, but now is rolling in with a new and exciting compact design. The space-saving Foldaway machine can be conveniently stored in small areas including crafting storage shelves such as the Kallax or Expedit systems, a closet, on your craft room table or in a drawer hidden away without taking up any of your precious workspace. Do you have a small crafting space and just don’t have the room for a bulky die cutting machine? This collapsible machine is just what you’re looking for! 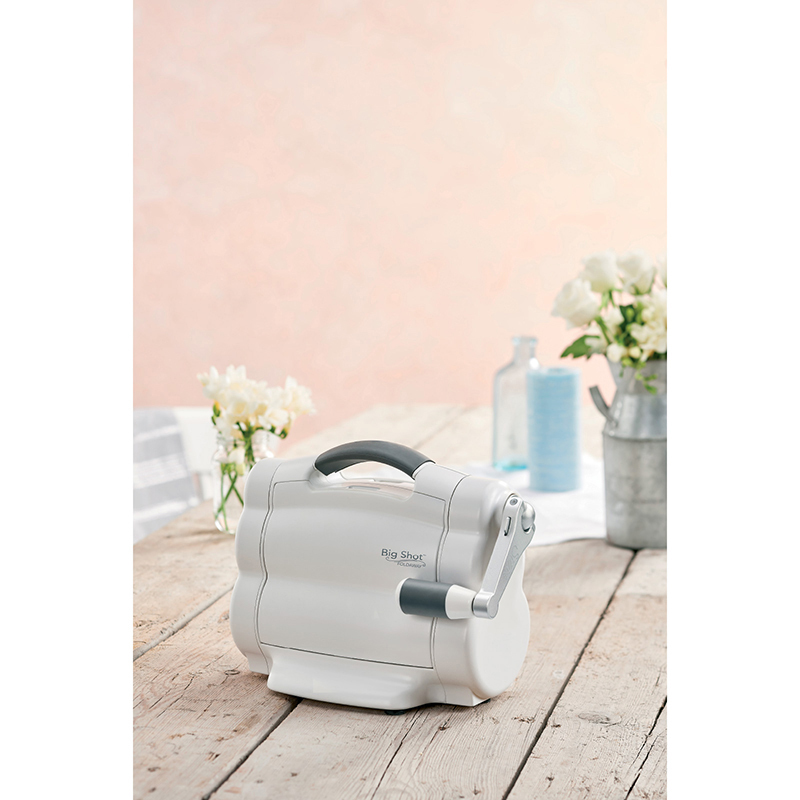 It can easily fold away so you never have to worry about taking up valuable space in your craft area. The Foldaway still offers a 6” wide cutting and embossing capability so you can create wonderful die cut and embossed projects! 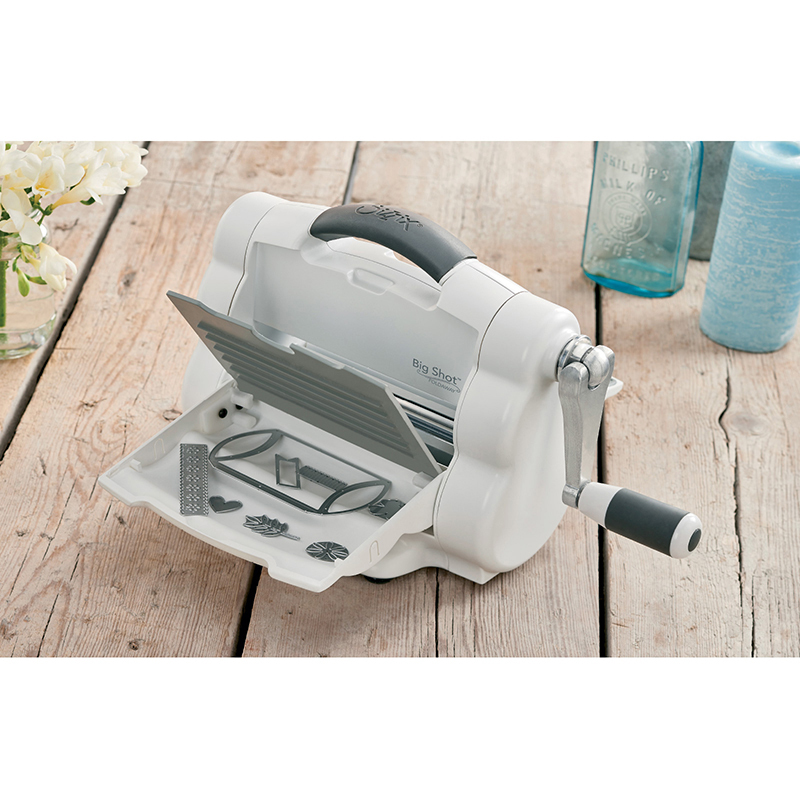 The cutting surface easily folds away and the release lever handle folds right in front of the machine, giving it the perfect shape to easily stow away. Ensure the handle is unfolded and at the top of the machine. Pull down the beds from the center using the finger grooves as a guide. Once horizontal, push both beds in toward the center of the machine to lock in place. To fold away, pull beds away from the center using the finger grooves on the beds for grip and secure them in place. 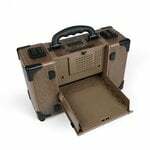 Just like other Big Shot machines from Sizzix, this handy Foldaway is constructed with steel rollers, an alloy roller housing, solid steel gears, an ABS plastic exterior and offers the same superior performance as its Big Shot family members. 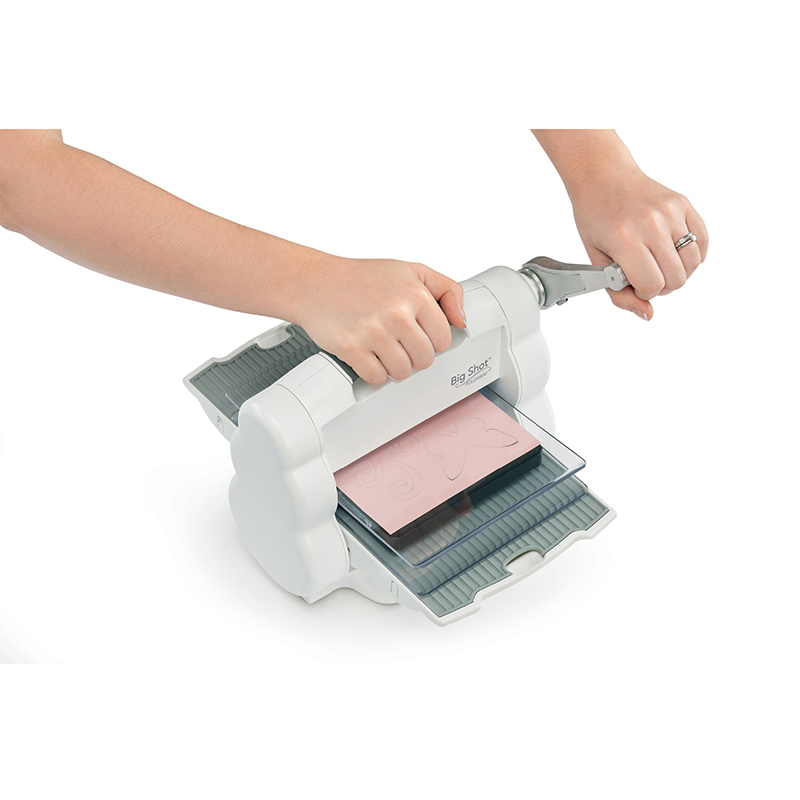 The Foldaway machine not only offers genius compact design but is lightweight with easy access built-in storage compartments under the platform, giving you space to store your wafer-thin dies, small craft scissors and more. You will love the unique and narrow design of the Foldaway as well as enjoy the creative freedom that you would normally have with a full-size die cutting machine. You can create to your heart's content and start designing cards, pages, party or wedding favors, gift tags, 3D embellishments, notecards and numerous other projects! And when you're done, simply store the machine out of the way until the next time you are ready to create! Press the lever in on the crankshaft to release the handle. Lift the handle up vertically and pull it down so that it is parallel with the machine. The crankshaft will lock into place once it is in position. To store away, press the lever to release the handle from the locked position and twist up and down in front of the machine to lock in place. Place Sizzlits die onto a Cutting Pad with foam side up. Place paper over the die. Place another Cutting Pad over the Paper to create a “sandwich”. Place “sandwich” on the Standard Platform and slide Platform into the opening of the Big Shot Foldaway. Note the rotation of the handle and continue to rotate it in the same direction until the Platform has passed through the opening and the rollers. 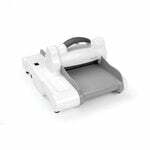 Remove the Platform from the Foldaway and your die cut shape is ready for use. Place “sandwich” on both Thin Die Adapter (sold separately) and Standard Platform and slide platform into the opening of the Big Shot Foldaway. Note the rotation of the handle and continue to rotate it in the same direction until the Platform has passed through the opening and the rollers. Remove Platform from the Big Shot Foldaway and your die cut shape is ready for your project. With Textured Impressions, Texture Fades, Texture Trades Embossing Folder or Embosslits die open, insert paper, foil or other embossable material and then close like a book. Place Cutting Pad above and below the closed folder to create a “sandwich”. Place “sandwich” on Standard Platform and slide Platform into the opening of the Big Shot Foldaway. Note the rotation of the handle and continue to rotate it in the same direction until the Platform has passed through the opening and the rollers. Remove Platform from the Big Shot Foldaway and your embossed material is ready for use. The creative potential of this die cutting machine is going to unfold right before your very eyes! If you want to take your creativity to new heights either at home or on your crafting adventures, then grab this inventive and compact machine and be prepared to unleash your creativity! Over time and due to normal use, the machine may become dirty or dusty. To clean, use only a small amount of isopropyl alcohol (rubbing alcohol) poured onto a clean paper towel. With another clean dry paper towel, wipe off any residue. NEVER use bleach or abrasive cleaners on the machine. The machine DOES NOT need to be oiled or lubricated. Read all the instructions before using the machine. Always place and operate the machine on a clean, flat surface. Only use attachments recommended or sold by the manufacturer. 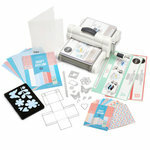 The Sizzix Tool Caddy (sold separately) is not compatible with the Sizzix Foldaway die cutting machine. 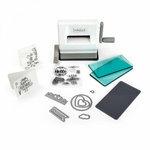 Add the Wafer-Thin Die Adapter and the machine can work with Framelits as well as other brand dies and embossing tools. 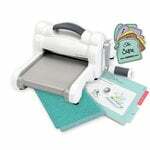 Warranty: This product comes with a limited warranty; visit sizzix.com/warranties for more details.